My son loves his books. He memorised many of his favourite stories. Children on the spectrum are quite often hyperlexic and develop a particular interest in books, pictures and words. I think the reason for this is the predictability of the letters and the written words. They always mean the same thing. No reading into people’s tones or facial expressions, just plain and simple the same meaning every time. 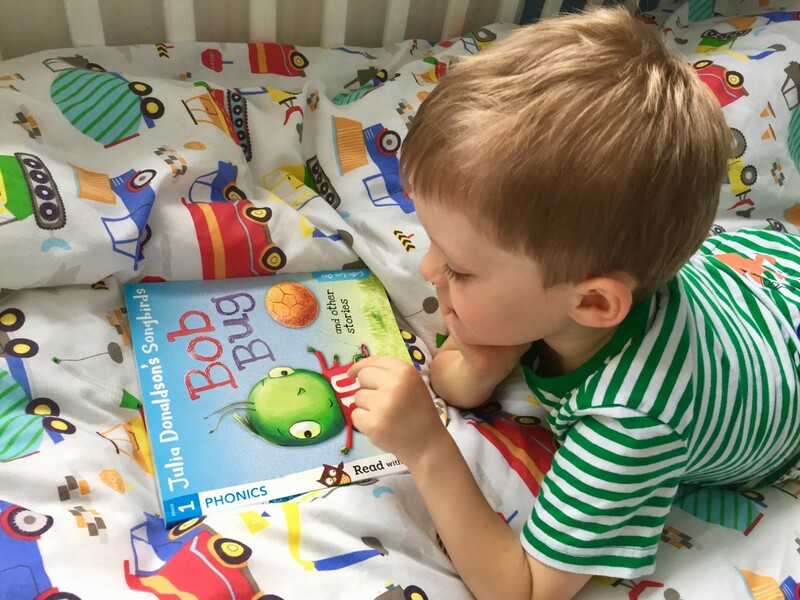 Even though Bobcat was practically non-verbal till the age of 2 and half, we knew that he recognised all the letters, numbers, colours and shapes even at the early age of 18 month old. He pointed at the right answer all the time and he played with educational children’s apps correctly. 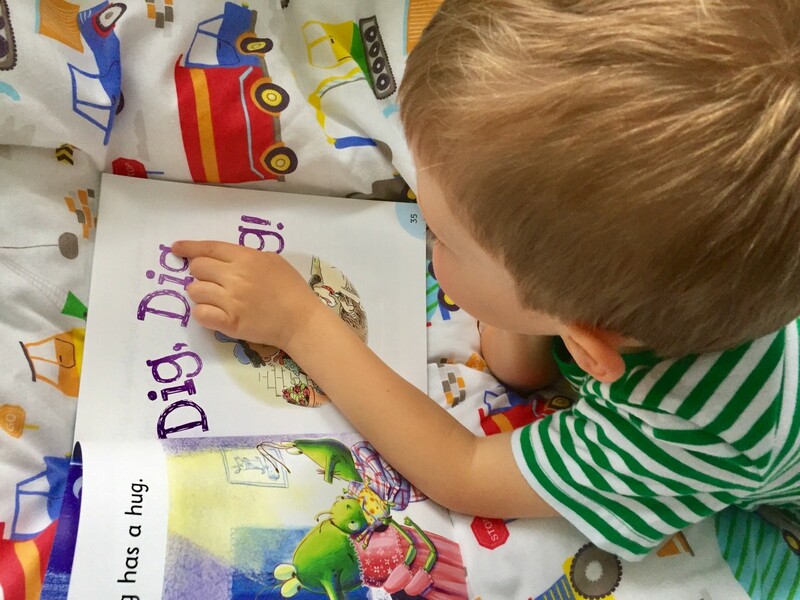 Reading to him every day helped him to learn more about the world, even if he couldn’t speak. In our case, they played a huge role in his development, learning and knowing stories encouraged him to initiate role plays. Started in the past year, he now loves imagining being one of the characters and he loves when we pretend to play the whole story. 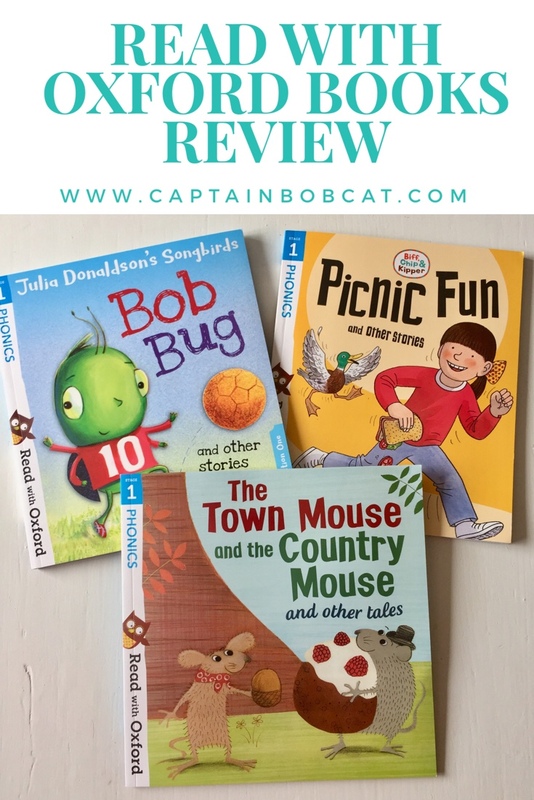 His latest favourite is the Highway Rat from Julia Donaldson and he loves pretending to be the rat, and citing his lines, just like in the theatre. This is a fantastic improvement for us. However, the trouble is, he more or less remained on this level for a long time now. 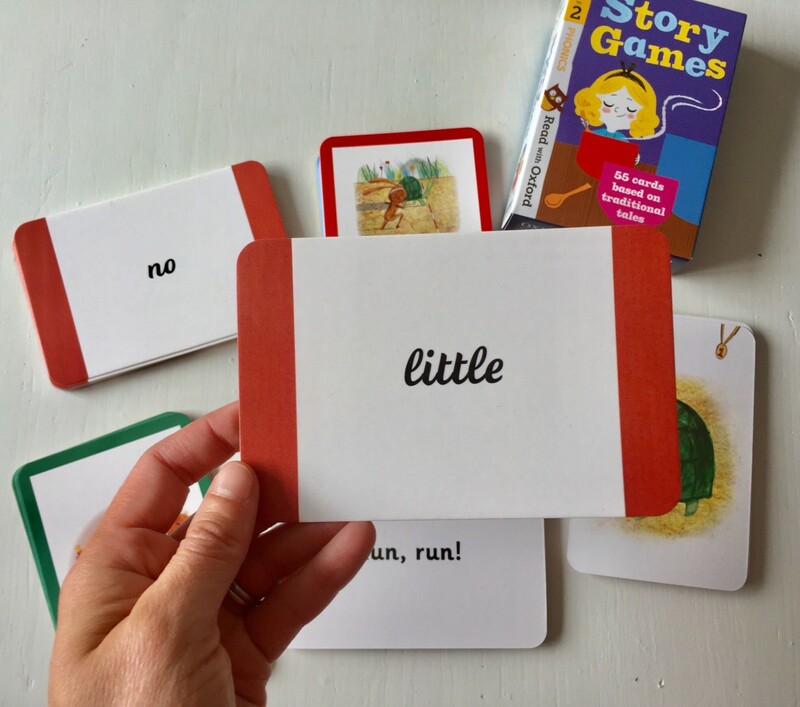 He can recognise lots of words as a picture, he can spell out a written word by looking at it but he doesn’t understand the concept of phonics. Whilst I’m a little bit sceptic about the usage of phonics in school, this is the current way the children are being taught the read. So we better start picking it up. At the moment though, he’s just not trying to take “reading” and story time to the next level. He starts reception class in September in a mainstream school – and we are a little bit worried how will he cope. A few weeks back we have received a kind gift from Oxford Owl by Oxford Press. A lovely box of books for little children, who have just started to explore the world of the words. 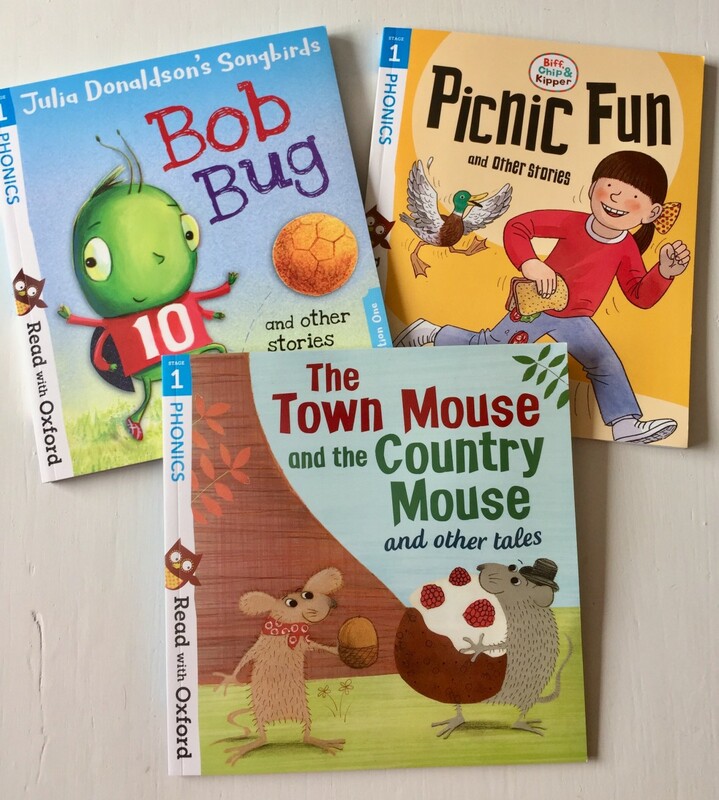 Containing a newly published range, called Read with Oxford books to help children learn to read, and love to read. 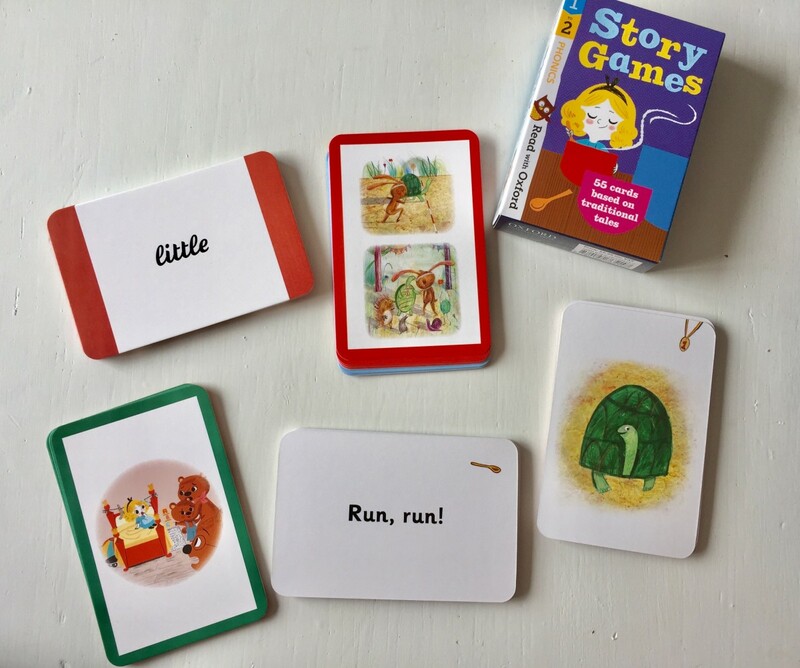 The Read with Oxford Stages have been developed by reading experts to help you choose which books to use at home to support your child – from their first steps in phonics all the way through to being independent readers. 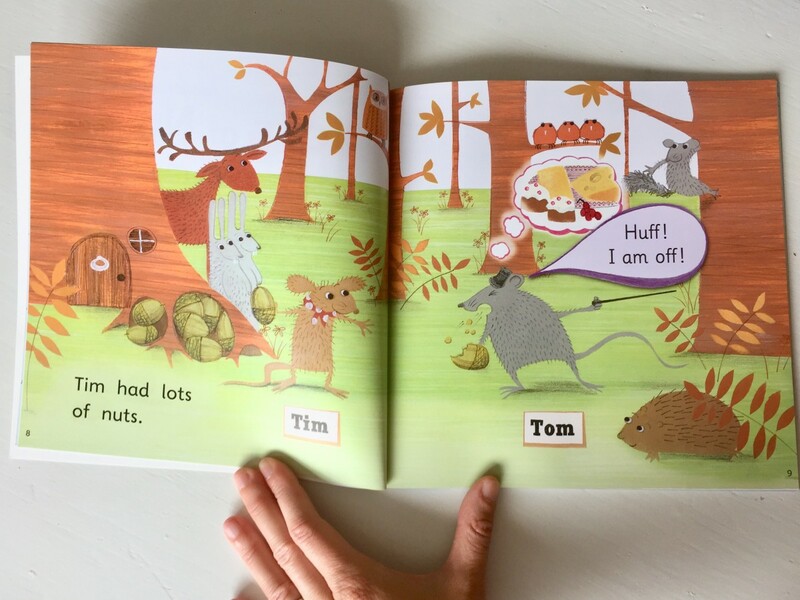 After taking a simple test – we have found out that Bobcat will need Sage 1 books, which has been developed for 3-4 years, aimed at children who enjoy listening to stories and just began to recognise letter sounds and read simple words. Here’s a little video of his the way he combines the love of numbers with reading…. and a funny bit of misspelling a word 🙂 (I find, that if he can see that I find the activity amusing, he’s more likely to join in.) It proves, that it’s a little hard to switch to phonics once he’s able to spell – but reading does’t equals spelling. We received these books as a gift from Oxford Press. My 7 year old son as just being diagnosed wit ASD, and his reading has been fairly poor. But from the beginning of this year it has improved no end and it’s because of some similar book to these. We are in the same shoes – but luckily we have got the diagnosis after he turned four. Good to hear that progress can be made. Yes, they are very carefully levelled. Stage 1 is perfect for us.